Vocal cords are situated inside the larynx. Vocal cords are the organs that produce sound when we are speaking or singing. It has been found that due to various reasons some benign growths develop on the vocal cords. Due to continuous and strenuous usage the vocal cords may become infected. The vocal cords redden at first and then become inflated. This inflammation slowly turns to swellings which become benign growths in due course of time. Conventional treatment options like rest and voice therapy have been found to be very effective in removing the vocal cords nodules to some extent. Homeopathic method is also a very popular method for removing vocal cord nodules as it is not having any side effects and as the treatment cost is very low. If these methods do not give any satisfactory results, then only the applicability of surgical methods comes into the picture. The most important benefit of surgical method is that in this method the surgeon gets a correct picture of the problem that you are facing and he will be able to chart out the exact procedures and treatment options to completely solve your problem. 1) Your lips, soft plate, tongue etc may get injured during this procedure. 2) Your vocal cords may be damaged in this process resulting in noisy breathing and a change in your voice. 3) Infection is a probable risk factor and possibility of your teeth getting chopped during this procedure is also risk factor accompanying this procedure. 1) Your general health will be ascertained making use of X-rays, ECG, blood test etc. 2) Doctor will study the medications that you are now taking and directions will be given regarding which are to be stopped temporarily and from when to stop them. 3) You will have to stop smoking if you are a regular smoker as smoking delays the healing process. 4) Do not eat or drink anything for eight hours prior to the time of the surgery. 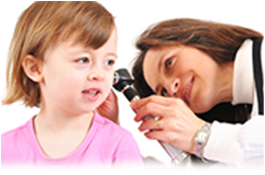 Direct laryngoscopy: Direct laryngoscopy is a procedure used when the nodules are found on the lining of the vocal cords. In this procedure the nodules on the lining of the vocal cords are excised and removed. After this the wound is kept open to avoid the formation of scar tissues as this may affect the quality of the sound. After this surgery complete voice rest is unavoidable for easy healing of the wound as the wound is kept open. Laryngoscopy with micro flap: This surgery is conducted when the nodules are found inside the lining of the vocal cord. In this procedure an incision is made in the vocal cord and through this incision the nodules are dissected and removed. Both the sides of the incision are then brought together and left open for healing. The incision is kept open to avoid the possibility of scar formation because scars on vocal cords may alter the quality of the sound. Complete voice rest is highly essential in this surgery for faster healing of the wound. Another cutting edge technology which is being evolved is the use of laser beams for the removal of vocal cord nodules.